Stop the Bleed campaign strives to teach bystanders how to stop the bleeding to save a life. Farming accidents, car crashes and mass shootings, in all of these tragic and sudden situations, uncontrolled bleeding is the number one cause of death. Yet all of these deaths can be easily prevented with timely intervention from bystanders. 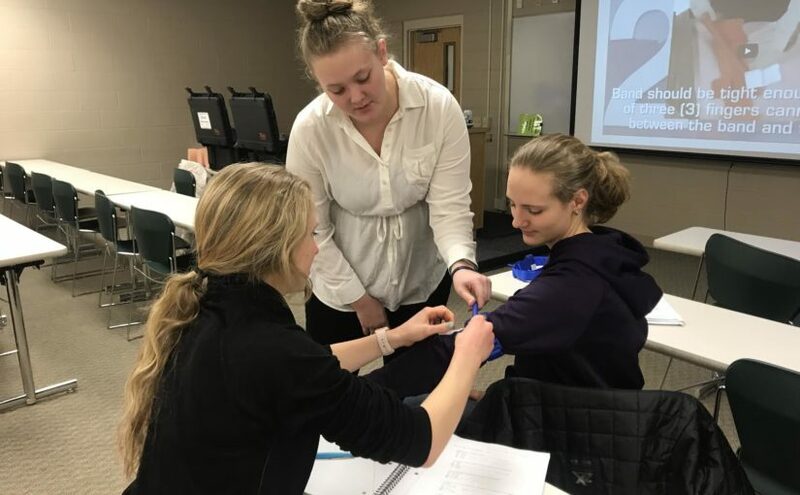 Nursing faculty and students from North Dakota State have started the Stop the Bleed initiative to train and empower ordinary people to help “stop the bleed” before emergency personnel arrives. Stop the Bleed is a national grassroots campaign that has grown in salience with the increased prevalence of mass shooting events. Similar to CPR training courses, the campaign is characterized by local instructors teaching free classes and improving access to Stop the Bleed kits, which provide basic bleeding control supplies. More than 124,000 people have been trained across the country, and classes began recently at NDSU. As an Air Force Reserves service member, Adam Hohman, doctor of nursing practice (DNP), has seen how knowledge of controlled bleeding techniques saves lives. He created a plan to bring the Stop the Bleed training to campus two years ago in his role as an associate professor of nursing. “I believe this helps build community capability and resiliency to respond to large-scale events,” he said. Hohman recruited nursing students Cali Richtsmeier, Tyler Jorgenson and Young to serve as volunteer instructors. The students also helped secure funding, recruit students and promote the classes. Kennedy Tracey and the Student Nurse Association have also helped get the project rolling. The project has gained significant speed in recent weeks as the instructors began teaching classes. 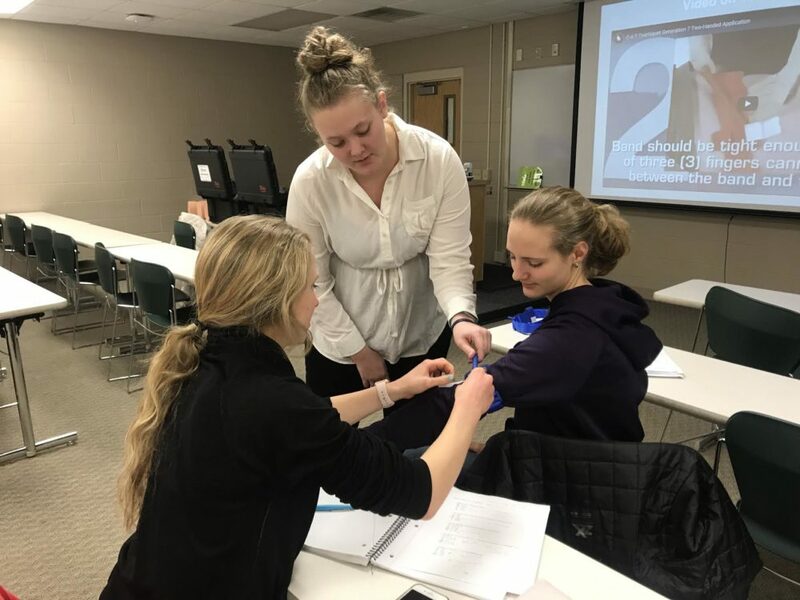 Students have taught six Stop the Bleed classes so far, and more are scheduled for the rest of the semester. Stop the Bleed classes are 45 minutes and are based on materials developed by the national Stop the Bleeding Coalition. Students complete hands-on practice and receive a certification in bleeding control basics. Currently, the classes are only available to students in the College of Health Professions, but the goal is to expand the program to the entire campus and, eventually, to the Fargo-Moorhead community. “Everyone can benefit,” Richtsmeier stressed. “(The student volunteers) are very passionate about community outreach and have expressed an interest to do something that will make an impact on their communities, which I believe Stop the Bleeding training does,” Hohman said. Another aspect of the Stop the Bleed campaign is improving access to bleeding control supplies. Hohman and his team are in the process of making two Stop the Bleed kits available in the Memorial Union. “Our goal is to get more of these kits around the community so they are available when an emergency strikes,” Young said. The kits cost about $99 each, so further grant funding is needed to purchase additional kits. The kits include a tourniquet, dressings, gloves, trauma shears and instructions. However, people who take the class are taught how to provide care in the absence of these supplies. “If there isn’t a kit available, it is just a matter of being creative and using any resource you have until emergency medical services arrive,” Young said. She said T-shirts, sweaters or any clean cloth could be used to help control bleeding. Both Young and Richtsmeier will graduate in May 2019. Young said she plans to continue helping with Stop the Bleed as she pursues a career as a pediatric nurse or nurse practitioner. Richtsmeier currently works as an EMT for F-M Ambulance and hopes to go into emergency medicine or trauma surgery as a physician. “I’ve seen emergency bleeding firsthand, and I know how a non-medical person can make a big difference to a victim,” Richtsmeier said. Students and faculty who want to learn more about Stop the Bleed should visit www.bleedingcontrol.org for class times and locations. In the event of an active shooter situation, the university has prepared policies and procedures to help the campus community learn how to respond. The University Police and Safety Office recently updated its active shooter awareness program with new training videos. 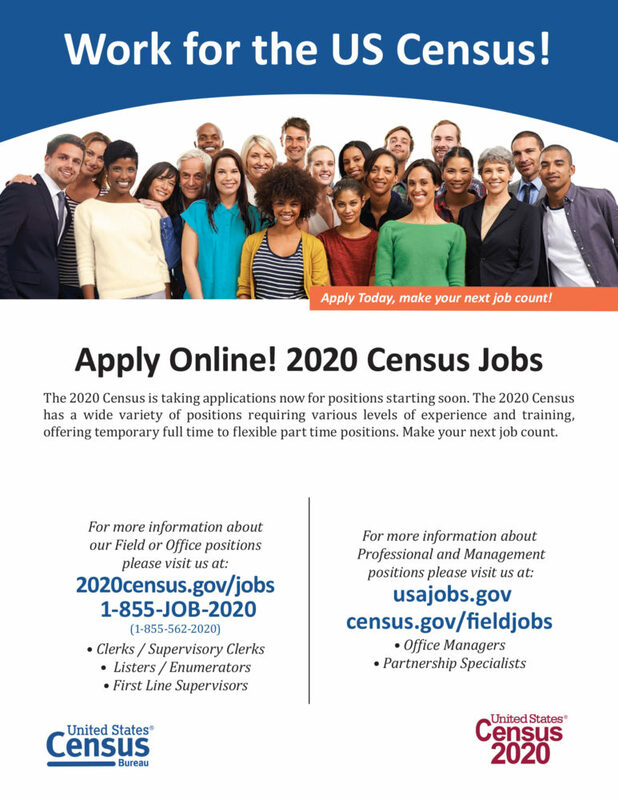 One of the topics covered on its website is related to skills taught in Stop the Bleed. The instructions read: “While you wait for first responders to arrive, provide first aid. Apply direct pressure to wounded areas and use tourniquets if you have been trained to do so.” For more information about what to do in an active shooting event, visit https://www.ndsu.edu/police_safety/universitypolice/active_shooter_awareness/.